As the movie begins a villainous individual or group commits some heinous act of injustice. But soon enough “our hero” steps on the scene and commits to resolve this terrible threat and correct the injustice. After about 90 minutes of killing people, breaking things, blowing up buildings and engaging in hair-raising car chases that usually end in fiery crashes our hero triumphs overwhelmingly, restores justice and walks off the set with “the girl” on his arm, burning buildings in the background….fade to credits. And we love this sort of stuff. At one level it is very entertaining. But it IS a cartoon. In real life villains and heroes are not as easily distinguished (though I do NOT mean to say that there is no such thing as right and wrong). Likewise, in real life blowing up buildings, car chases etc. endanger lives and take serious tolls. Real people do not walk away from high speed car crashes like they do in the movies. If they survive at all it takes months to recuperate from the damage inflicted on a real human body. In real life people who get killed, even if they are villains have people who mourn their loss. The true toll of all this violence is far greater in real life. Ultimately it is the culture of death on display in cartoonish fashion. It is a parody of real attitudes in western culture. But the message is clear enough, cartoonish though it be: the solution to injustice is violence, mayhem and death. I do not deny that sometimes lethal force must be used to protect society from evil but it is always a last recourse and a moment for deep concern and moral reflection. “Oh come on Father lighten up!….” OK I admit it is usually “good fun” and most don’t take it seriously. But my central point is that we should be careful as to the messages we send and receive even in diversionary entertainment. It says something about us that we are entertained by this sort of stuff. We ought at least to do a reality check as to this. Every now and then we do well to examine our culture and its premises. Is this movie teaching what Christ did? Just a thought. Monsignor, don’t forget about the video games either. They glorify killing and desensitize people to death as well, and very effectively at that. In the archdiocese of New Orleans, every parish…during every Mass prays a family prayer that begs parents and their families to be strengthened in an effort to combat the violence and culture of death that prevails in our city. Like everywhere else in America, we’ve always had drug abuse, poverty, lack of opportunity, racism, and every other factor that sociologists like to say causes the high murder rate…in spades…but we never had this high number of killings. Our archbishop recognizes that we also never had the breakdown of the family that we have now and he created the family prayer as a result. It’s the family, the mini Church, the unit of salvation by which Faith is passed down that is under assault like never before. “Loving and faithful God, through the years the people of our archdiocese have appreciated the prayers and love of Our Lady of Prompt Succor in times of war, disaster epidemic and illness. We come to you, Father, with Mary our Mother and ask you to help us in the battle today against violence, murder and racism. 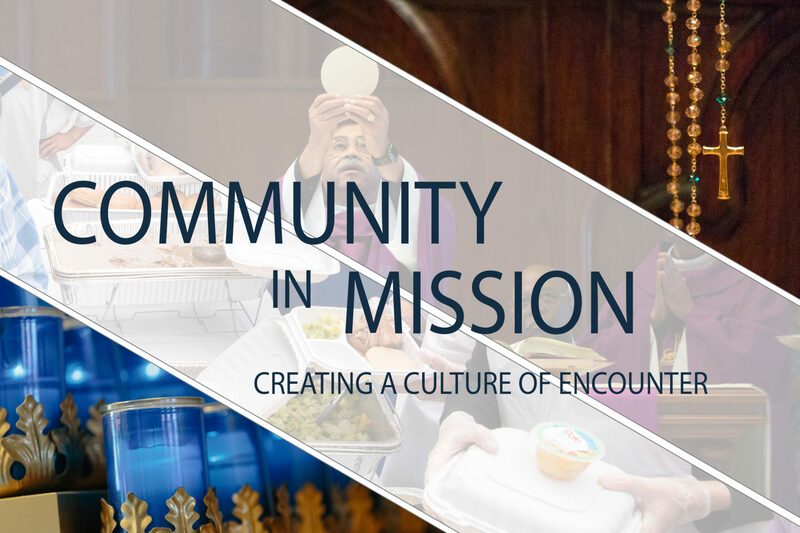 We implore you to give us our wisdom that we may build a community founded on the values of Jesus, which gives respect to the life and dignity of all people. Bless parents that they may form their children in faith. Bless and protect our youth that they may be peacemakers of our time. Give consolation to those who have lost loved ones through violence. Hear our prayer and give us the perseverance to be a voice for life and human dignity in our community. Yesterday, you spoke about disposition with regards to the Sacraments. The culture of death is so pervasive today, that I can’t imagine anyone praying this prayer without the proper disposition. Here’s a link to information about Henriette Delille and who she is. I don’t willingly watch anything violent, because it upsets me. My husband thinks I need to lighten up too. I think it’s a good thing to not watch it! I appreciate your emphasis on getting rid of the culture of death in the West, but I’m not sure I agree with bulldozing distinction and lumping capital punishment, which has some justification in Judeo-Christian morality and can be just, as war can occasionally be just, with the murder of the innocent and the elderly which in no way can be justified. One, the death penalty, is perfectly acceptable to support as a Catholic for some crimes, and the others are disgusting injustice and it is an excommunicable offense to support them. Just reasoning from JP IIs Evangelium VItae and the Catechism of the Catholic Church. I understand, and I’m sorry for the nonsense you’ve taken over this article. It’s an important message, and I’m sure Blessed John Paul II is smiling on your efforts to advance his banner of the New Evangelization 🙂 God bless you and your efforts! Thanks for your encouragement. I am intrigued that some like to make the death Penalty a conservative/liberal issue but I know many strong conservatives who are against the death penalty as well. Perhaps it is a uniquely personal issue. I know I have made a journey with it and, following the leadership of the Popes and Bishops I have had to reassess my more visceral approval of it the past and ask the Lord for healing and the capacity to follow where the Spirit is leading the Church today. While it is true that previous generations accepted the death penalty, and likewise that even today, there are rare circumstances where it may be permitted, I accept that the Spirit is leading us away from frequent recourse to it, while at the same time accepting that it is not intrinsically wrong. I also appreciate your blog, and the commentary therein, and your general inclination towards nuance. Much lacking in the blogosphere, Catholic or otherwise. Incidentally, it seems to me that the death penalty is also, to some extent, the focus of a major culture war only in the US, just like, gun control. In line with your point about “real men not watching the explosions they cause”, there seems to be a curious moral blindness to the fact that, when the death penalty is legal, it is a human being who carries it out on another human being, in a controlled atmosphere (unlike, say, war). That sort of thing can do serious emotional/moral damage to the executioner. Sorry “cool guys” not “real men”. What, do you have to punch your ticket as not being a bad ol’ conservative by once again lumping in just executions with murder? No, I’m a Catholic, that’s all. Perhaps your use of the term conservative indicates more about you than me. I don’t lump, as you suggest. This too suggest more of you than me since it shows you cannot presume others make distinctions if they don’t recite your exact formula. Capitol punishment is not the same as first degree murder, or do you take me for an idiot? Pull in your claws Howard. As for me, I am just reasoning from JP IIs Evangelium Vitae and the Catechism of the Catholic Church in seeing recourse the death penalty as part of the culture of death for the reasons stated. Other things being equal we should avoid war, violence and other life-ending things. Though in rare cases there may need to be recourse to war, aggression and even more rarely, the death penalty. Read the Catechism of the Catholic Church for more guidance in this matter. If you don’t own a copy it is one line. Thank you Monsignor Pope for this and your other great writing. I had thought the Holy Father placed (“culture of death”) in quotation marks in Humanae Vitae to contrast it with the true culture, the culture of life? Isn’t this actually a subculture…or even an anti-culture? Life, and its excellence in many forms and protection of same, is culture isn’t it? Kind of like the builders of the marvels of World Trade Center towers, when compared with those who smashed them…. Or is one like grafitti, or worse, on true culture? An example from closer to Holy Mother Church. Or like the Pieta….this magnificent work of culture. Then some guy goes and smashes off the toe with a hammer. You forgot to mention in the typical narrative that the (usually token minority) sidekick dies a Horrible Painful Death about 30 minutes in. Our faith did not begin with the JPII generation. Blessed Pope Pius IX convened the First Vatican Council in 1869. He decreed papal infallibility, and defined the dogma of the Immaculate Conception. He ordered several executions in the Papal States. If the many studies that find that capital punishment saves innocent lives are right, capital punishment has a strong claim to being not merely morally permissible, but morally obligatory, above all from the standpoint of those who wish to protect life. In thinking about what it means to be prolife, Christians must, to begin with, distinguish between protecting innocent life and protecting society against those who destroy life. People incapable of making so elementary a distinction have no place in determining where the argument should go from here. Try not to be more Catholic than Pope Benedict XVI. He is no fool and has read all you post here but does not reach your conclusion and a thumbs up on execution even as sadly necessary, let alone obligatory. While it is true that previous generations accepted the death penalty, and likewise that even today, there are rare circumstances where it may be permitted, I accept that the Spirit is leading us away from frequent recourse to it, while at the same time accepting that it is not intrinsically wrong. This is about practice not dogma. You are out of the mainstream Catholic thinking today led by recent popes and a near unanimous consensus of the world’s bishops. Time to reconsider for you, or at least admit you are out of sync with our appointed Shepherds at every level. Oh my… “…not be more Catholic than Pope Benedict XVI. He is no fool….” oh my! “This is about practice..”, I thought I learned that our practice was our dogma in action! “…out of sync with our appointed Shepherds at every level”? I thought that our ‘appointed Shepherds’ should be less about reflecting contemporary moralities and practices and more about teaching us to live the faith of our Fathers. Which is done rather nicely by JP2 – Evangelum Vitae. But it is, as you say, not dogma and in ‘practice’ prudent minds might not necessarily be ‘in sync’ – even ‘the sheep’ with their (beloved) Shepherds! Very interesting. Maybe the cartoonishness of crime television shows is why I always preferred shows like Columbo. He always was civil, refused to carry a gun, and treated the perps like human persons without exception. They should remake that series. I think it would be great. It took me years to understand what Columbo movies really were. They are not mysteries. They are a new take on the classic greek tragedy, but with the tragic hero replaced by a less than sympathetic character. The central figure calls down the wrath of the gods, upon himself, by demonstrating the hubris to believe that they can commit the perfect murder. The forces of nemesis, personified by Lt. Columbo, appear and hound the central figure to his destruction. After completing the destruction of the once-proud murderer, Columbo produces some handcuffs and the murderer humbly plods off to oblivion. Speculating freely, I wonder if St. Lot’s was his only (living) successful inhabitant-convert and was looking back with apparently misguided pity! I am not terribly successful at implementing this as a means of moderating the media I consume, but I’ve always felt that Jesus, as a shepherd and a teacher, instructs us by the example of His life. If then, He is the model for how men (and women of course – but here we are talking about violence…which is not limited to gender but seems to be primarily an expression of male orientation) ought to conduct themselves, then it has frequently been my experience that my conscience is troubled by the glorification of battle and of revenge-taking. I’ve found the kind of movie you describe to be terribly out of step with the imitation of Christ – which is primarily manifest in the lives of both the layman and the religious through: a) cheerfulness; b) fidelity to friends and family; c) a kind of gentleness in dealing with the faults of others; d) an insistence upon expressing Truth in recognition of it’s irreplaceable role in the conversion and salvation of souls. I don’t know why men in particular are inclined to enjoy violence – be it in their sports: boxing; wrestling; MMA; Gladiators-of-eras-past, or in their entertainment: just about every Arnold S. movie ever made. But I don’t think we’re supposed to enjoy it. I think it’s supposed to terrify us and arouse revilement and sadness for the toll on the humans involved. If I were to direct the inquiring mind towards a Biblical ‘rule of thumb’ by which all entertainment should be measured, it is this: Philippians 4:8 For the rest, brethren, whatsoever things are true, whatsoever modest, whatsoever just, whatsoever holy, whatsoever lovely, whatsoever of good fame, if there be any virtue, if any praise of discipline, think on these things. That is to say, if we are going to fill our minds, then the standard is whether the material in question is consistent with the glory of Divine Filiation and an inheritance which is Eternal. Cool guys look at Jesus. There’s nothing more excellent than holiness. Now we have drones blowing up people from 10,000 miles away. And blowing up people truimg to rescuethe wounded. And mourners at funerals. They are all killed militants if they aren’t women or children. And torture is now institutionalized. We need someone like 24’s Jack Bauer to fight terrorism. Jesus listed two thought sins in the sermon on the mount, lust and wrath. The former is the left’s pet indulged sin, the latter the right’s. Torture is a mortal sin and intrinsic evil. Jack Bauer uses it. We don’t need someone like him. But God works secretly in the hearts of men, and the Son and the Holy Spirit intercede for us. I really enjoyed this thought provoking article. The culture of death and the culture of force are marching us down a road of ruin. I find it a contradiction that the author of such an article seems to support the church’s position that using state force to make women carry their unborn children to term against their wishes is God’s will. The bible I have admonishes those who would use man’s laws and courts to force people to do what they want. The modern incarnation of the church that seeks to end the evils of birth control, abortion, divorce, and many other social ills using the jailers, carpetbaggers, and soldiers of the modern warfare state is an all too willing participant in the culture of death. I thought I was the only one who had these same thoughts on the “culture of death”. Mankind’s answer to any problem is usually violence or death. The entertainment industry is especially guilty of promoting the culture of death, densensitizing people to violence and death. And don’t forget the animal kingdom which is God’s creation. Instead of trying to find a more intelligent way of over population of animals, the method of choice is to kill them. I especially like the reference to what happens to the relatives of those killed in movies, etc. Maybe if it was shown how they mourn their losses, people would stop and think. But then it wouldn’t be entertainment anymore. I would think there was little hope except for the fact that good and God will triumph over evil in the end. Homosexuality is also part of the culture of death as a caricature of the normal sexual act without the possibility of procreation. And what about the current fascination with vampires? Thank you, Msgr. Pope. I found the video powerful. Don’t we try to do this every day with reference to the surgical and contraceptive abortions going on all around us every day?? Isn’t our silence / indifference / inactivity a form of “don’t think about the people you kill” … a Cool Guy’s tacit approval???? authorities, not the Church, are competent in determining. The Church has always acknowledged this. In fact, she still does. JPII’s prudential judgment opposing the death penalty has to understood in this light, since determining the efficacy of penal systems is NOT part of the Church’s teaching office. By saying both are “examples of the culture of death” you are basically lumping the two together. That much seems clear from what you are saying. Furthermore, given the fact that most well meaning orthodox Catholics are as confused as to what the Church actually teaches about capital punishment as much of the secular world and how most anti-death penalty types are pro aborts (including a significant number within the Church) and use the death penalty as a wedge issue to divide pro lifers, your phrasing would lead any rational person to draw the same conclusion I did. After all, abortion and contraception are not morally equivalent, but are are both moral evils. This is the upshot of what you are saying about capital punishment, abortion, and euthanasia, particularly when explicitly say capital [punishment is an “example of the culture of death”. Actually, if you look at the correlation between the reluctance and/or refusal to administer capital punishment on the part civil authorities and the sanctioning of the culture of death vis-a-vis abortion and euthanasia, a much stronger argument can be made that the anti-death penalty position is an “example of the culture of death”. But that’s another matter.